Another rat did his job again,,,,2014 335 N55 engine,,,,the check engine light was on,,,,,I noticed the outside temp said -40 degree,,,,,checked fault found outside temp sensor short circuit to ground,,,,,so I removed the under panel and saw the rat damage,,,,the customer refused the repairs,,,,what he doesn’t understand the a/c system system will not work properly due to the outside temp sensor is reading -40 degree,,,,the car is thinking it’s freezing outside so why do you want the a/c on,,,,it just surprises me sometime when people don’t fix there cars on the simplest thing,,,,some people lease these cars and can’t afford anything else. 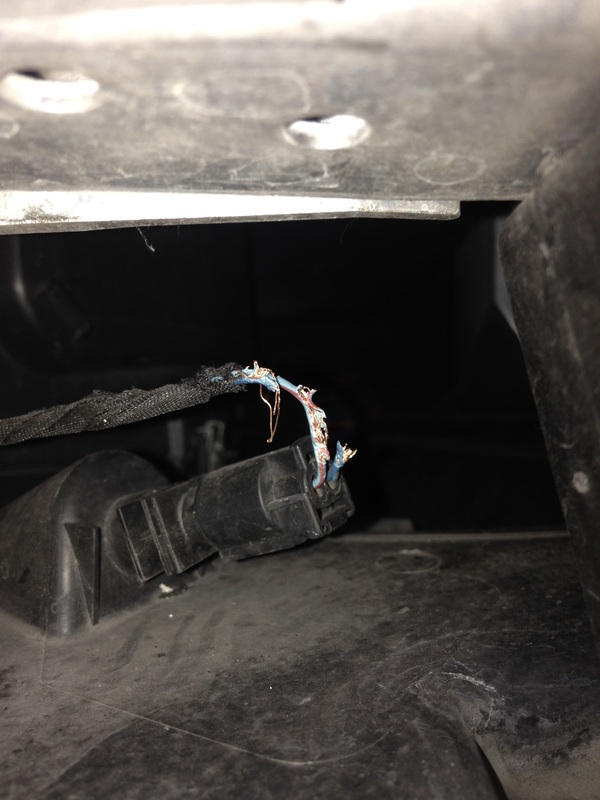 This entry was posted in Uncategorized and tagged rat damage, short circuit, wiring harness. Bookmark the permalink.